There are many claims and myths related to microwave ovens leaking radiation and eventually causing cancer. Considering that almost 90 percent of household in the United States have a microwave, it is not a surprise that people have questioned their safety. 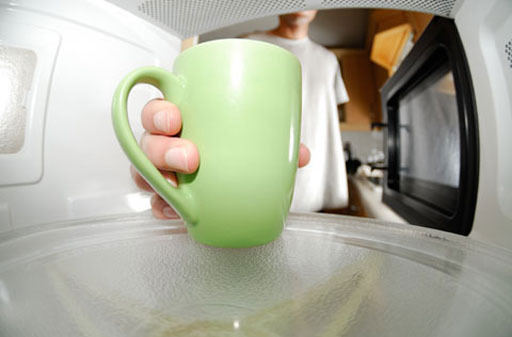 In a microwave oven, electromagnetic waves are produced by a magnetron. These waves are called microwaves and they are a form of radiant energy. In fact, microwave ovens can leak radiation. Therefore, shouldn’t we believe these urban legends about the dangers of microwaves? Can microwaves leak large amounts of radiation and cause cancer? Fortunately, the amount of radiation that microwave ovens might leak is very small. “According to the Center for Devices and Radiological Health, a unit of the Food and Drug Administration that regulates microwave oven safety, every microwave that reaches the market must meet a requirement limiting the amount of radiation it can leak in its lifetime to five milliwatts per square centimeter at roughly two inches away from the oven.” (O’Connor) The intensity of radiation decreases drastically with the distance a person stands from the microwaves. The radiation from two feet away is one-hundredth the amount at two inches. Additionally, to prevent microwaves from escaping, the ovens’ doors are lined with metal mesh and special door handles, which stop microwaves whenever the latch is released, are required. The levels of radiation are greatly limited due to these procedures. Therefore, although microwaves leak small amounts of radiation, the levels of radiation from microwave ovens are far below those that are known to cause harm to humans. So why do the rumors persist? People continue to caution each other about the effects of microwaves and without further research on their parts, people will believe those who only want to protect them from radiation and cancer.